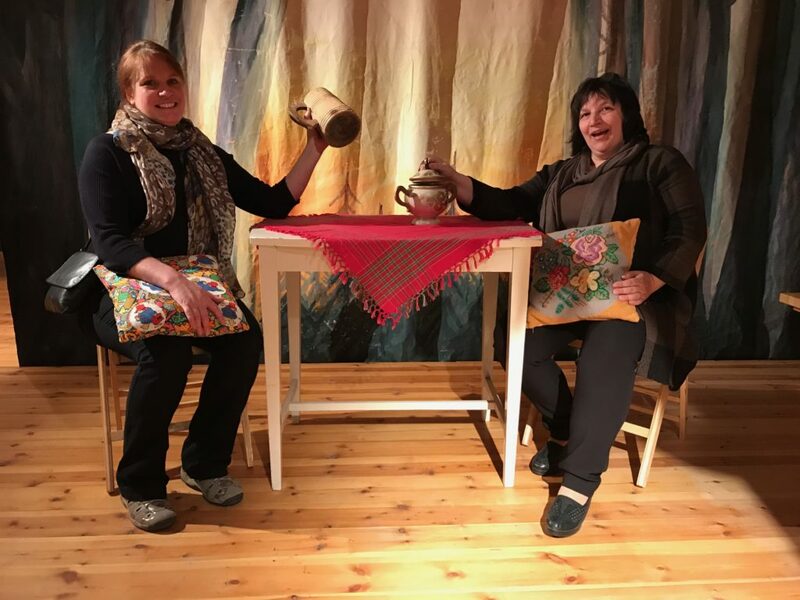 Reflections on a recent cultural research visit to Tartu, Estonia by Tehmina Goskar, Arts Council-funded Change Maker with Cornwall Museums Partnership and the Royal Cornwall Museum. As I left for my cultural research trip to Finland and Estonia, there was a lot of debate about Truro as a city of culture. What does Truro mean to its communities? What messages are we sending to our visitors? What’s special about Truro and why should people care? Royal Cornwall Museum is probably Truro’s oldest cultural institution, conceived of in Union Street near Lemon Quay – when it was still a gateway to the world via the river Fal. In 1818, the Royal Institution of Cornwall’s predecessor, the Cornwall Literary and Philosophical Institution, established a museum with a science lab here. By the time of the museum’s centenary, celebrated in 1919 after the First World War had ended, it moved to its current premises in River Street, occupying a former savings bank. Preparing for the Royal Institution of Cornwall’s bicentenary next year has provided the opportunity to reassess the values of its founding members and review its contemporary relevance and role in Truro and Cornwall’s cultural life. 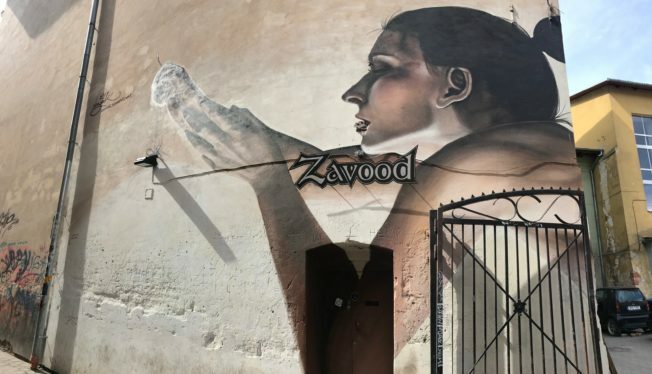 While I visited Tartu, in the eastern part of Estonia near the Russian border, I thought a lot about what makes a small city special and how it expresses its identity to local communities and visitors alike. Tartu markets itself as the “city of good thoughts” and a city of youth, partly in homage to its ancient university which is also known as the Oxford of the Baltic region. Tartu competes with Estonia’s capital, Talinn, by leading on the nation’s cultural heritage. The city houses its brand new Estonian National Museum which opened only last year. 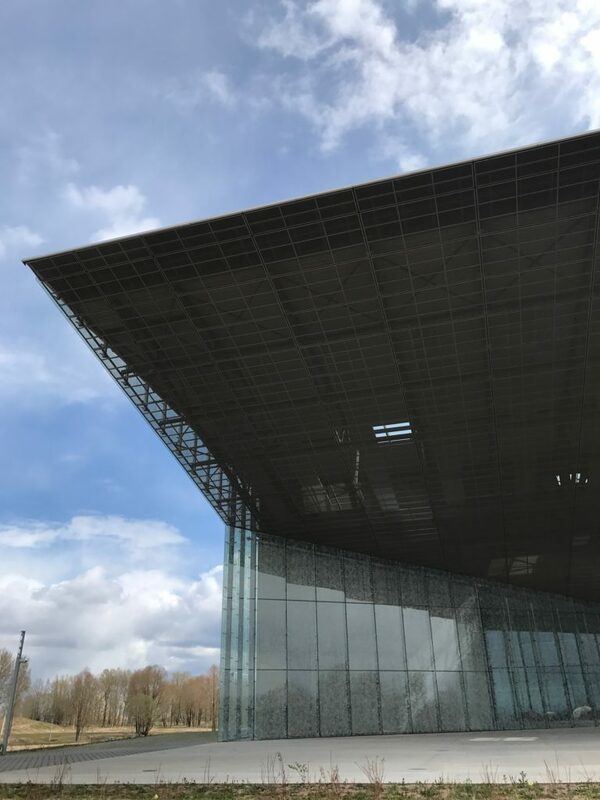 It is in an astonishingly ambitious new building, designed by an international team of young architects, situated on an old Soviet-era airfield. The ruins of an older vodka distillery remain next to it. The new national museum contains thousands of stories of ordinary people. There is no singular national narrative and few privileged stories of ‘great people’. The exhibits are exquisitely displayed, with care and sensitivity, whether a medieval burial or video oral histories of gay people fighting for equal rights. Even in its deeply designed and modern setting, the sense of authenticity brought to the museum’s audiences through its objects made for a deeply captivating visit lasting hours. The café served high quality but simply cooked local food. The toilet facilities were good and the staff and volunteers who welcomed you and provided directions combined to make the visit stimulating and easy. These are all important features for any place that wants to boast being a city of culture. In the town centre itself, gentle music wafted from street side speakers. It wasn’t intrusive but created an atmosphere which encouraged outdoor browsing of the city’s spaces and architecture—even though it rained a bit and at time snowed. Tartu is getting known for its street art which varied from the political to historical to the downright bizarre. It was easy to walk around Tartu, many areas were being cleaned up, demonstrating the city’s commitment to creating a pleasurable public realm that people want to spend time in outside their cars. Buildings under construction were emblazoned with hording interpreting the people inside them, whether historical or current political representatives. Tartu is also a place of small museums, much like we have here in Cornwall. The tiny Estonian Song Festival Museum is up a side street and is completely embedded in its local community. When the gardens around the museum need tidying up for Easter a was call is put out to people living nearby and soon a 40-strong army of helpers turned up to help tend to the work that needs to be done. Inside, the museum tells the story of how the Estonian song festival, that started in Tartu the mid-19th century, became the vehicle for expressing Estonian identity—the freedom to sing in their own language, dance to their own music, and just to gather. This same event became the focus for the Singing Revolution which had started in 1987 as a show of gentle defiance against Soviet overlords, and eventually led to Estonia’s independence in 1991. Part of the community, Estonian Song Festival Museum’s theatre gallery and stage. This powerful story is humbly told through simple exhibits and an audio guide available in several languages—Tartu understands the needs of its diverse audiences even though 90% of visitors are normally from Estonia. Meanwhile upstairs is a gallery with a children’s theatre stage in the middle where local kids (big and small) can dress up and try out plays, and then perform them. In the same space artefacts from the city’s theatrical past suddenly mean so much more. Youth is also important in Tartu and its cultural institutions seem to start with the principle of wanting to embrace its youth rather than kept separate from the ‘serious stuff’. As I arrived there was the launch of the city’s literary festival in the town square. The launch was not presided over by long boring speeches given by town worthies but a children’s entertainer. There were balloons, there was poetry and song. It was for everyone but especially the young people. Tartu is also home to Ahhaa! – a fabulously immersive science centre and base for citizen science. It is used not only by local schools in Estonia but also those from across the border in Russia. In spite of the sinister political posturing we hear about in the news, culture and knowledge are generously shared across borders. A little out of town is the Estonian Road Museum, which is far more interesting than it sounds. It’s a haven for anoraks and enthusiasts as well as being a great place to bring families with young kids. You can take a kind of mock driving test here in a tiny car around a tiny town. All learning in this museum is fun and memorable. My visit to Tartu minded me of what a city of culture needs to be: welcoming, have pride in its public realm, easy to get around, open about what lies behind austere building walls, a place for doing things that are fun and therefore memorable than just looking or consuming them. Heritage needs to feel authentic but contemporary too. I didn’t feel like culture was being done to me in Tartu like I do in many places here. I didn’t feel like I was being told what I should consider important or worthy, it was for me to discover. Penzance-based Tehmina Goskar is an Arts Council England Change Maker at Cornwall Museums Partnership and the Royal Institution of Cornwall, and a cultural and curatorial consultant. She is also a Museum Mentor, member of the Museums Association’s Ethics Committee and an Accredited member of the Association of Facilitators. In her spare tine Tehmina plays the folk fiddle and researches folklore.